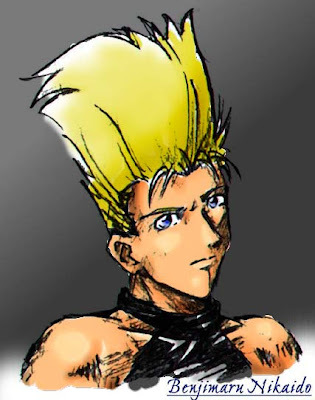 I chanced across this old picture I did of King of Fighter's Benimaru on someone's website. Can't remember how old it is, but possibly around a decade old. I did a bunch of KOF illustrations then including Kyo, Athena, Iori, Kensou, Shingo and probably more, but I don't think I have any soft copies now since my Zip disks got corrupted. Pity. The pencil artwork is probably somewhere around.